Ideal to use as a literacy group reading activity. 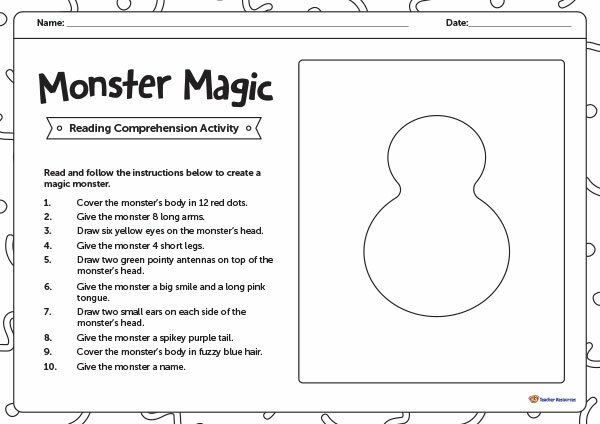 Children read and follow the instructions on the page to create their own magic monster. Print a class set of worksheets to use during your morning literacy rotations. Ask the children to read and follow the instructions to create their own magic monster. Alternatively, use the worksheet as a listening task by reading out the instructions to the whole class. Thanks for your positive comment. We hope that you continue to enjoy using this resource with your class.